What next for 'Top Gear'? The former stars of the worldwide TV hit "Top Gear," including the contentious Jeremy Clarkson, are hitting the gas on their new Amazon series in November. 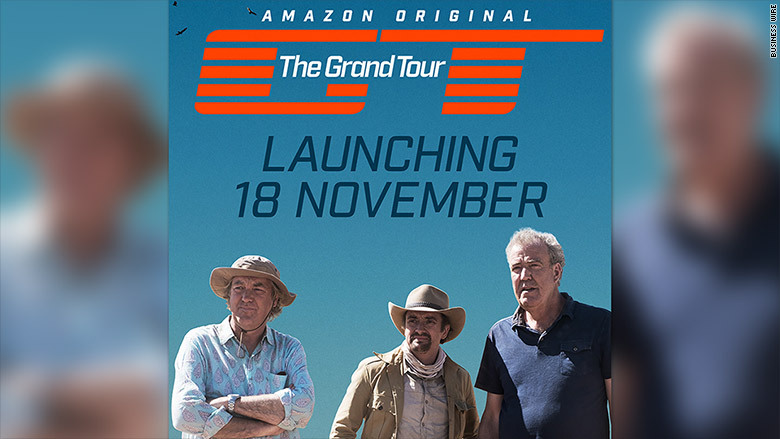 "The Grand Tour" premieres Nov. 18 on Amazon Prime Video, starring Clarkson, Richard Hammond and James May. Clarkson, who was fired from "Top Gear" last year after punching a producer, retweeted a teaser for the new show, depicting the three racing through desert landscapes, the front gate of a casbah and a track, with the caption "What could go wrong?" A promotional photo shows Clarkson's face streaked with soot and blood, with the caption "I survived the day. Just." 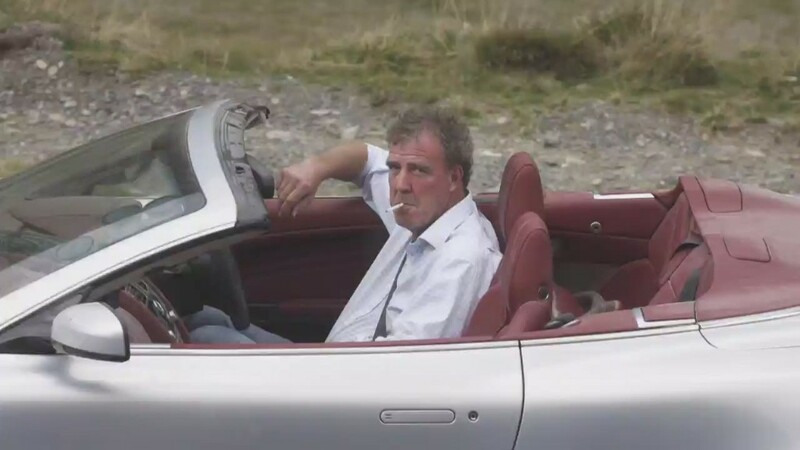 Amazon (AMZN) said the "motoring show," as Clarkson calls it, will be released every Friday for 12 weeks. The BBC's "Top Gear" picked up a huge following when Clarkson, Hammond and May were at the wheel, along with an anonymous driver in a helmet called Stig. They raced a variety of vehicles, including luxury cars and jalopies, across Japan, the Bolivian Amazon and the rural American South. "Top Gear" alumni Jeremy Clarkson, Richard Hammond and James May are bringing a new "motoring show" to Amazon on Nov. 18. They also clocked celebrities as they raced cars along a track, including Gordon Ramsay, Jamie Oliver, Simon Cowell and Boris Johnson, the British foreign secretary and former London mayor. Clarkson's witty, and often offensive, banter was a centerpiece of the show. Matt LeBlanc of "Friends" is the current host of "Top Gear." His co-host, Chris Evans, quit after just one season. Clarkson, Hammond and May have signed on for three seasons of "The Grand Tour," according to Amazon, and are filming around the world. Part of the show is filmed before a live audience in a large tent -- following the "Top Gear" template, which screened part of every show before a live audience. The first episode will be filmed later this month in California, and the show has already taken its tent to South Africa.